Oh my gosh, spring has sprung! It’s felt like a long winter, and I’m not talking Game Of Thrones. Later winter, hello spring! With just a few quick updates, you can freshen up your home from winter cozy to light and bright spring fabulous. Spring and organization go together like peanut butter and jelly. We want to shed our winter skin and lighten up a bit. And with that, getting our homes clean and organized! 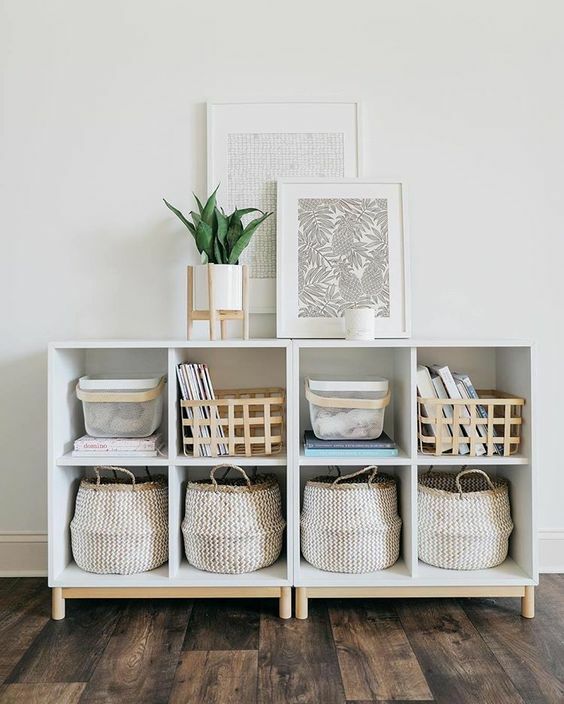 Sell, donate or toss any unnecessary clutter and invest in some stylish storage solutions such as woven baskets, bins and trays to keep organized and tidy. Similar to organizing as we are paring things down and lightening up each room. Be very intentional with each accessory that you use for display, and only incorporate pieces that speak to you, and that you love. Love what you own and put out the pieces that spark joy and make you happy. Change out any heavy fabric and dark accessories for brighter and lighter choices. Throw cushions, blankets and drapes are all great examples of items that can easily be swapped out. Replace a dark and moody colour palette for brighter and airier neutrals. I’ve mentioned before in Easy Ways To Encourage Happiness and Wellbeing at Home, but nature inspires so much of design. 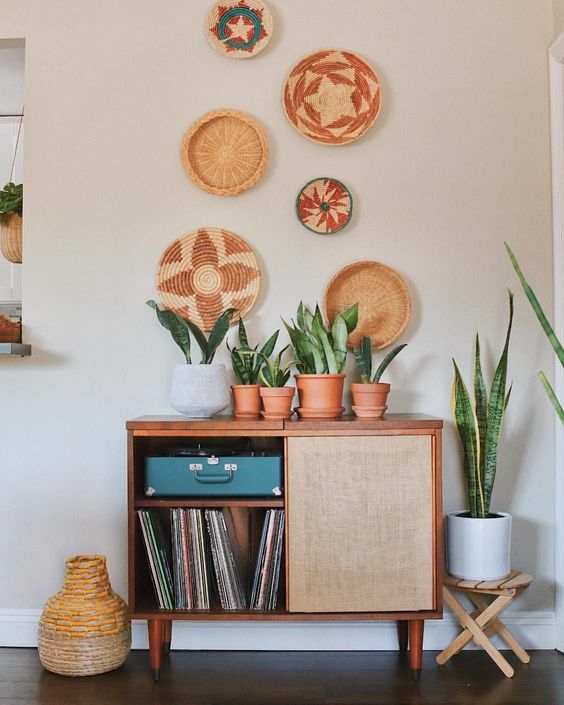 Incorporate greenery in some cute vases that can be updated every week as well as house plants in some great textured pots. Materials such as lighter shades of wood, ceramics and leather can not only lighten a room up but also add some personality, interest and texture into a space. Incorporating all of these elements will create a fresh space for the warmer months. All of these elements create a polished, personal, stylish and organized home which is really the ultimate goal when designing any space. Bonus, it’s super simple to do – it just takes a bit of time and elbow grease. What items are you excited to tackle to switch up your home from winter to spring? Let me know in the comments below how you intend to freshen up your home for spring. If you liked this post you might also be interested to catch this one, Four Areas To Focus On When Starting Your Home Organization Journey. And if you need to de-clutter your home before you freshen it up, grab my interactive “4 Areas to Focus On When Starting Your Home Organization Journey” Cheat Sheet here!